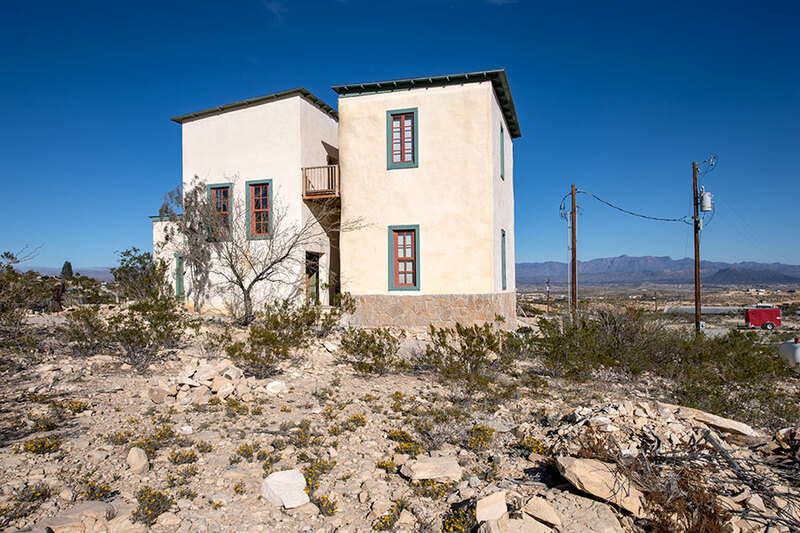 The Perry Mansion in the Ghost Town of Terlingua, Texas. 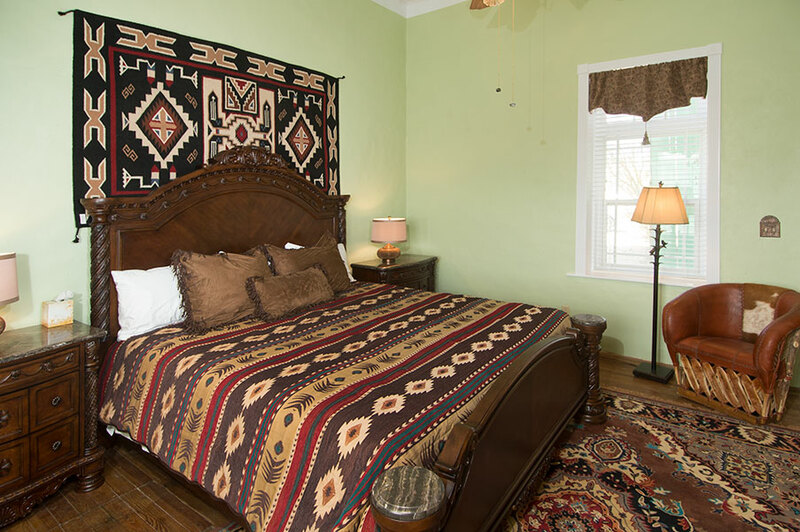 This room proudly features a king-sized bed. 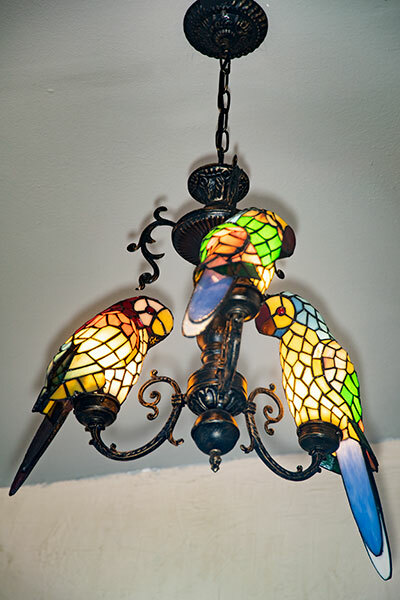 Nestled exclusively in the Western Wing, it's separated ever-so-slightly from the main building. 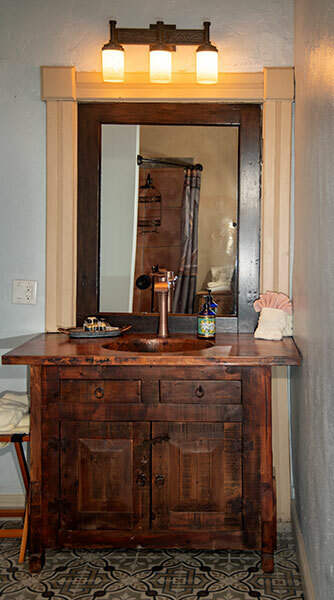 (It's the room closest to the Guest Kitchen for those late-night snacks). 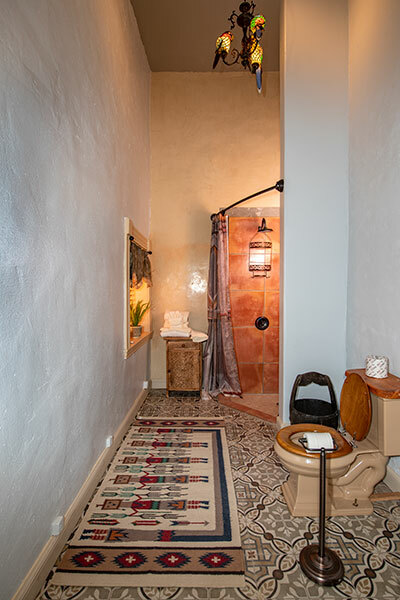 The spacious bathroom will make you smile. 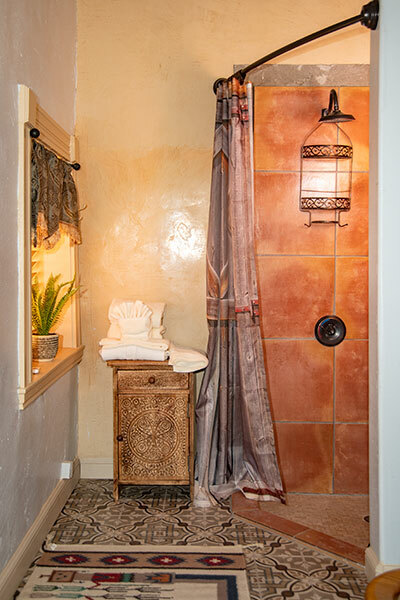 It features a special West Texas shower beneath an especially unique chandelier. 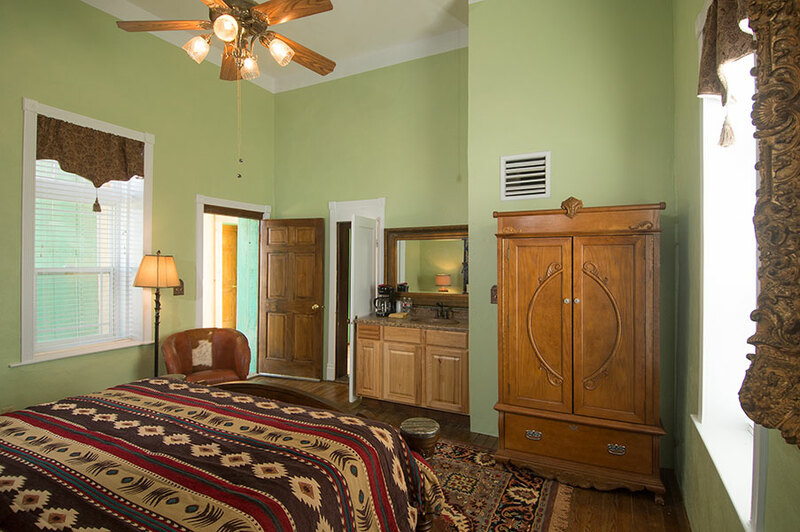 Each Room has NO Cable Television OR Telephone. Enjoy the break. Free wireless internet is available. Room Service is very expensive and requires 48 hours notice. coffeemakers and an ample supply of our special blend of coffee. 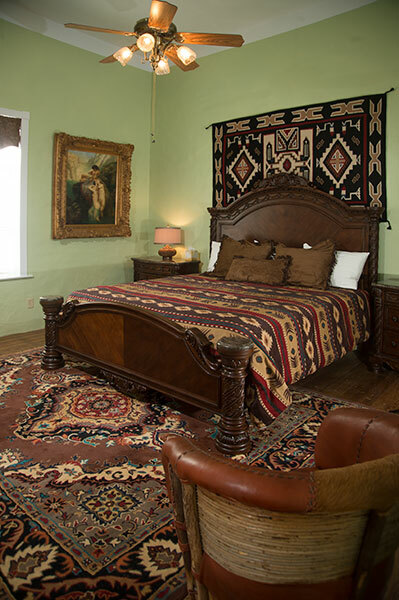 The Terlingua Mansion is Owned & Operated by the Bill Ivey family.